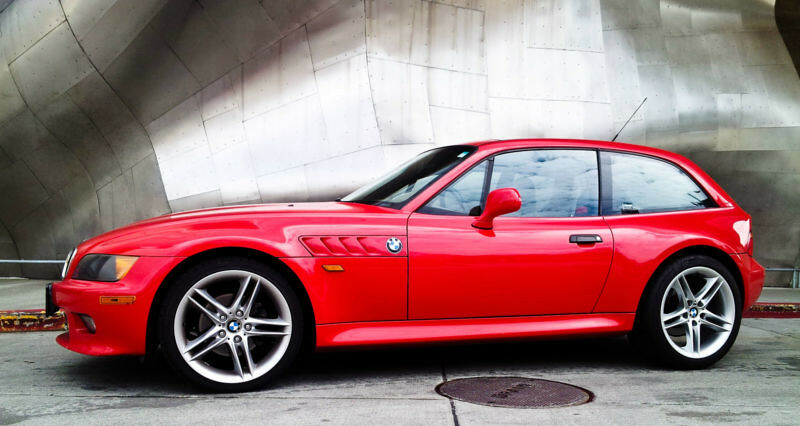 This Z3 Coupe was posted for sale on eBay by tango_feroz of Seattle, Washinton with 140,500 for $10,900, or best offer. 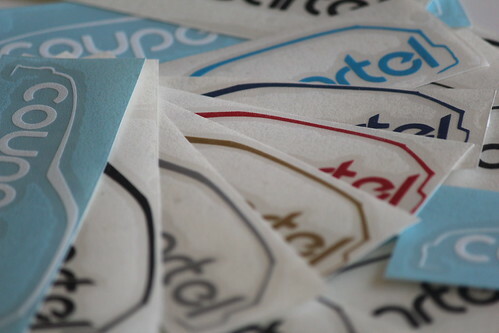 The first image from the listing, and the first one in this post, is what caught my attention. It’s a great shot. 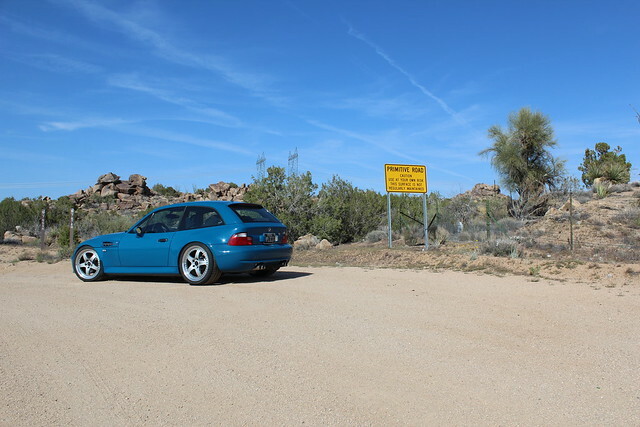 The Coupe appears to be all stock, aside from the Style 224 wheels from a Z4 (19×8 ET42, 19×9 ET30). This Z3 Coupe was posted on stanceworks.com by it’s new owner, z3coupe. 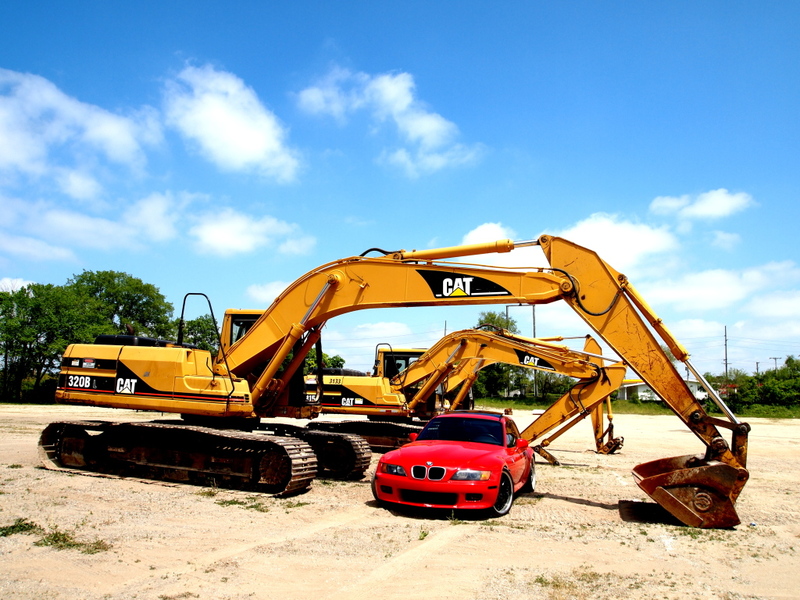 He purchased the 98k Coupe as it sits now, but is working to remedy the damage caused to the front bumper when the P.O. hit a 2×4 on the freeway. That certainly could have ended worse than what appears to only be superficial damage to the front bumper cover. Mods include: 19″ wheels, which look a lot like Privat Legendes to me (a Kinesis K59 replica of sorts), Tein suspension, tinted windows and blacked out corner markers. He plans to add an M50 intake and S52 cams until he adds FI down the road, proceeded by reinforcing the subframe, naturally. 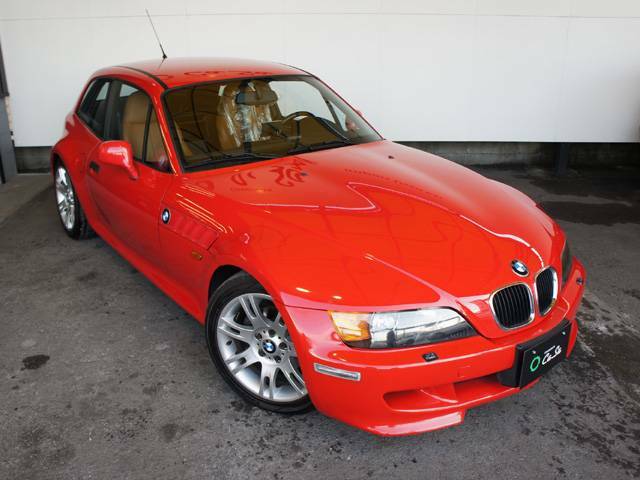 This Z3 Coupe was posted for sale in Hyogo, Japan on goo-net.com with 44,000 km (27,340 miles) for $11,450. It looks very clean, as it should, with only 27k miles. The sunroof delete Coupe has an automatic transmission, which seems to be common for Z3 Coupes in Japan. 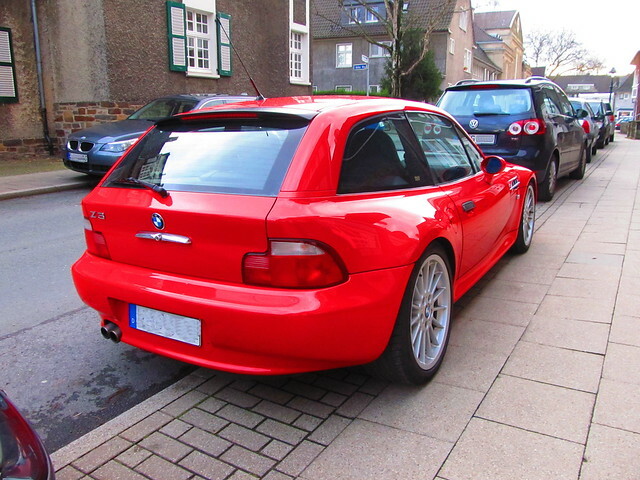 All of the Z3 Coupes I have seen from Japan have automatics. I wonder why that is the case? While not quite as nice as this Walnut extended leather with brushed aluminum trim Coupe, the Walnut interior does look great with Hellrot paint. It also has less than half the miles, and is nearly $7k less. I’m curious what it would take to import this Coupe from Japan – anybody know? Aside from 17″x7.5″, 17″x8.5″ Style 97 E46 3 Series wheels, aftermarket suspension and a navigation unit it appears to be all stock. This Z3 Coupe was posted on flickr.com by jenskramer after spotting it in Germany. Based upon the chrome trim ringed headlights, chrome trimmed kidney grille slats, and chrome hatch lift, this is a 2001 or 2002 with an M54 under the hood. It appears to be all stock with the exception of aftermarket suspension and M side grilles. 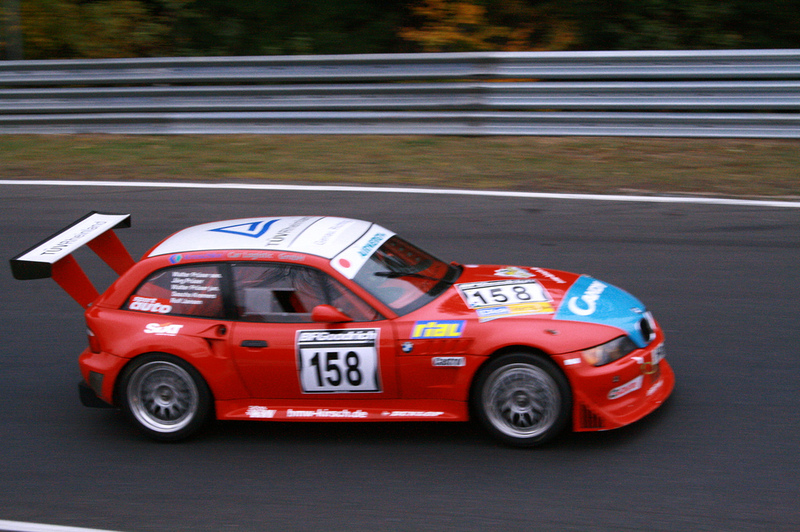 This Z3 Coupe race car was posted on flickr.com by nordschleifenfan. Based upon the non-chrome trimmed kidney grille slats, I believe this is a 98 or 99. The only mod that I can distinguish with any accuracy are the Hamann side mirrors. There’s a boat load of track specific mods, including: front and rear bumper, rear diffuser, spoiler, ducted front and rear fenders, roll cage, Rial wheels (I’m assuming thanks to the sponsorship logo on the hood), and suspension. I suspect that there is something other than a stock M52 under the hood, but there is no indication of exactly what is there. From the photo, it appears that this is a sunroof delete model. I wonder if that is the case, or if it has been replaced, or simply covered with vinyl.